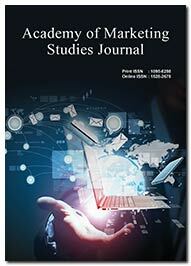 Academy of marketing studies journal (AMSJ) is a globally renowned business and marketing journal that offers an open access forum for the professionals, practitioners, academicians, researchers, and students to share and discuss the latest trends and developments in this field from across the world. Affiliated to the allied business academy publications, AMSJ adheres to stringent double peer review to enhance the research quality and originality. 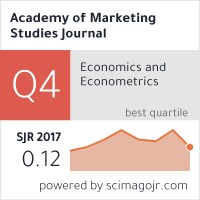 With 30% of acceptance, AMSJ invites authors and professional to contribute their live and current marketing experiences as theoretical or empirical studies. More details on the types of manuscripts published and the categories of research accepted are displayed in the journal matrix section of this website. Sponsored by the academy of marketing studies, AMSJ includes a broad category of themes in the field of marketing, including but not limited to foreign market network, market opportunities, network competence, branding strategies, personalized e-commerce, e-satisfaction and e-loyalty buying attributes, e-marketing and online fraud, marketing in banking sector, efficient marketing plan, consumer satisfaction and eccentric business communication for study.